Given the choice between wing flying over the Grand Canyon or watching a festival on the beach with locals, which would you pick? It seems the former is gaining the most traction with tourists or would be travellers than ever before. For wing flying, read ‘motorcycle adventure riding,’ and you suddenly become part of a new survey in the adventure travel market in the Americas and Europe. The jump in market revenue, according to a study by the George Washington University on behalf of an influential travel trade association, went from $89 billion in 2009 to $263 billion in 2013. Kite surfing and paragliding are considered hard adventure; canoeing and hiking are a little softer. Motorcyclists are definitely in the tougher part of the survey. However, I contend the adventure bike rider is a unique and specific category. The average adventure traveller is male, around 36 years of age with a four-year degree and an average income exceeding £44,000. 48% are single; they spend an average of just under £1,000 per trip and around £280 on gear each year. Spot the differences to the people in the sport we all know? Trips start at that price but can include selling the house, and as for gear, £280 buys you a less than top of the range helmet. What about the bike? 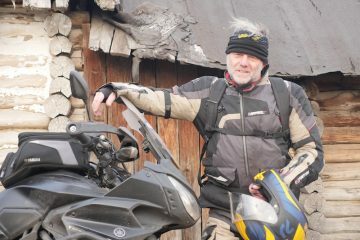 Speaking personally, 95% of clients on my own motorcycle tours are married and are in the 50+ age range. Equally I notice the relatively fewer independent travellers who fill the pages of ABR (both in print and online) so bravely, are similarly aged, have had to deal with some extrication from family life and, in a minority of cases, have sold everything they have to provide the income they require to do that one big, possibly ultimate, long term journey. Motorcyclists are adventurers just by putting their leg over a bike. But when you extrapolate where some of us travel to, the dynamics involved are off the scale. 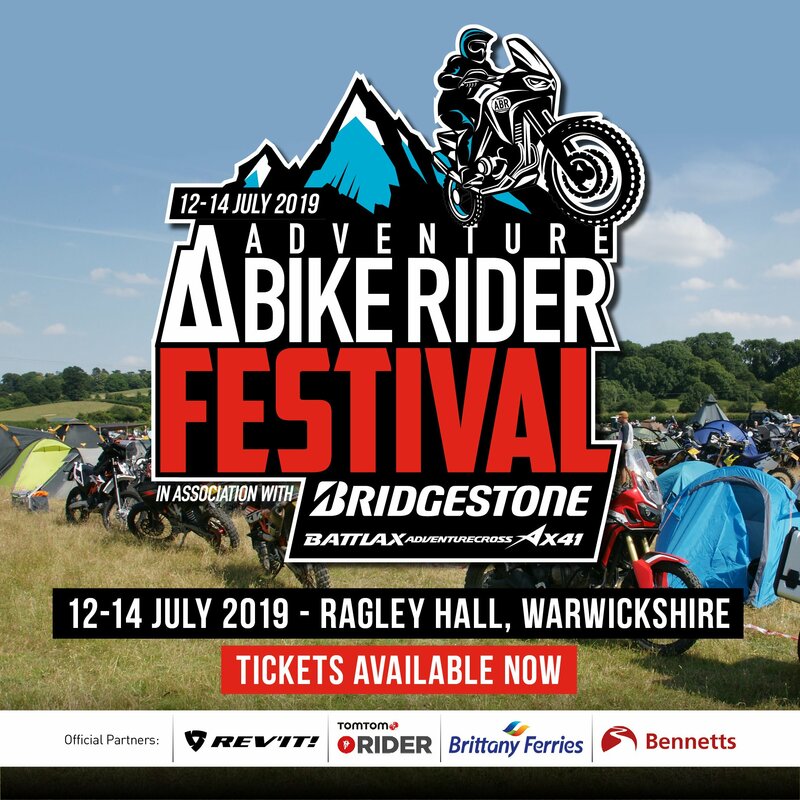 The proliferation of new models of adventure bike, an advance supported and instigated in some ways by companies such as Touratech, Kriega, Metal Mule and Adventure Bike Rider itself, has dominated the motorcycle industry of recent years. 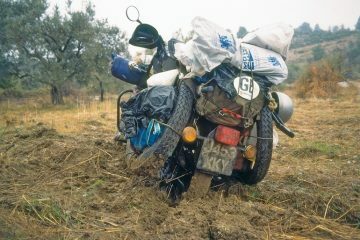 If adventure motorcycling is still the hot topic in most bikers’ minds, what exactly is inside the adventure bike rider’s head? Adventure and non-adventure travellers agree climate and natural beauty are two of the most important factors when choosing a destination. This fits with how riders I know prioritise where they wish to ride. A forest scent, a mountain view and a few physicals around hairpin bends veritably puts a bit of poetry into our hearts. There is a third consideration. Adventure travellers select activity options in a destination – the Andes, the Alps, a spin with Eagle Rider across Route 66 – whilst non-adventurers chose friends and family as their top priority. I have a hunch that the adventure bike rider cleverly chooses their family and friends from a select group of individuals, and we know who they are. They’re assertive, head-strong, brave to the point of being courageous, foolhardy, have a dubious taste in heavy metal music whilst compulsively showing attention to detail, and are known to us all as motorcycle enthusiasts! Enjoy your riding, you impulsive people!